A plan to build a $1.2 billion dollar streetcar line along West 7th Street in St. Paul is facing criticism from many residents and business owners along the route. Others says the proposal will add to the area's revival by expanding transit options. Dan Foster of Minneapolis frequently takes the number 54 Metro Transit bus to his volunteer job at a St. Paul thrift store. He says taking a streetcar might be a better experience than the sometimes-crowded bus. "If it's quick, and it's efficient, and there's a little more capacity, I'm all for it," Foster said. 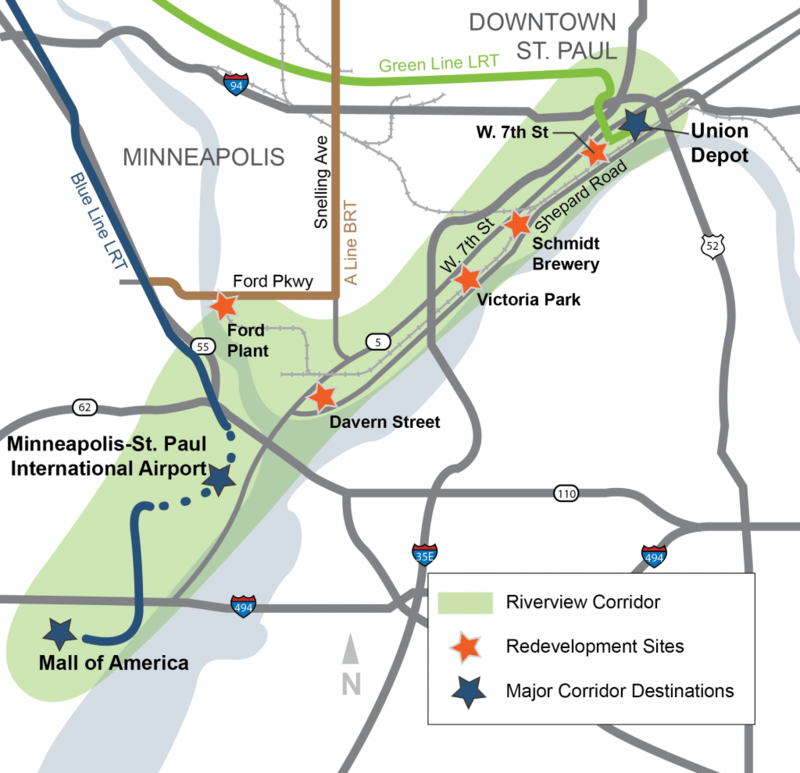 For decades, St. Paul and Ramsey County leaders have been trying to find a better transit link between downtown, the airport and the Mall of America. In 2000 officials decided a dedicated bus lane was the way to go, but funding dried up and the plans were shelved. A dozen years later they considered something similar — bus rapid transit. More recently, planners looked at light rail, but were met with strong opposition from business owners who did not relish several years of construction and the possible permanent loss of parking spaces and traffic lanes. Now the Riverview Corridor Policy Advisory Committee appears ready to sign off on a "modern" streetcar concept. Unlike the wooden rattletraps of a century ago, the newer version looks much like a light rail vehicle. It rides smoothly along tracks embedded in the pavement, and can share traffic lanes with cars. Cities including Atlanta, Seattle and Detroit have them. At a public hearing Thursday, Charlotte Munkel-Olson with Transit for Livable Communities handed out yard signs in support of the idea. Munkel-Olson — who grew up in the area — said it's a great way to connect people with jobs, if the needs of the neighborhoods are kept in mind. "I want whatever's built to be built for the community. Not just to get through it, but for the community that it's going to be right in the middle of," Munkel-Olson said. There is strong opposition to the streetcar from some business owners and residents. Local historian Gary Bruessemann has lived in the area his entire life. He fears a streetcar will destroy a neighborhood that's seen major improvements in the last 15 years. "Visit West 7th Street," Bruessemann urged. "Talk to the businesses. Look at the width of the street. Look at the historic buildings and ask yourself: can this street survive the disruption of construction?" St. Paul City Council Member Rebecca Noecker said the policy advisory committee has a lot of questions about a West 7th streetcar. The biggest is whether the necessary federal funding will come through. Noecker said arterial bus rapid transit similar to the new Snelling Avenue A Line is a great fallback option, and its price tag is $75 million, a fraction of the cost of a streetcar. "We could fund arterial BRT tomorrow and streetcar, not for five to 10 years," Noecker said. "Is that going to serve the demand that we're going to see on this corridor in the future?" The Riverview Corridor Policy Advisory Committee is scheduled to vote on the streetcar plan December 14. After that it would need the approval of the Ramsey and Hennepin County boards, plus the Bloomington and St. Paul city councils as well as the airport commission before more detailed environmental and community impact studies could begin.